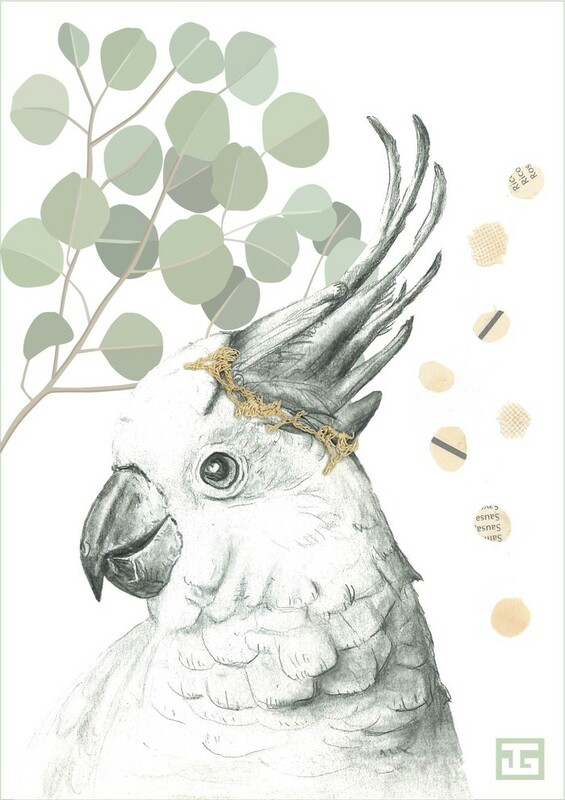 Cockatoo pencil drawing with paper collage. The drawing has digital drawn gum leaves added to the background. All prints are dated and signed by the artist. Printed on textured, acid free, archival quality, chlorine free, 210gsm, rag paper. Print will come wrapped in tissue paper and rolled into a postage cylinder. The size of the print will fit all A3 size frames as the edge of the design has purposely allowed for this cropping.